~ Amy Stewart, author, The Drunken Botanist, Wicked Plants, and more; founder, GardenRant.com. ~ Susan Morrison, landscape designer and author, The Less is More Garden and co-author of Garden Up! ~ Teresa Watkins, landscape designer and author, A Gardener’s Compendium, Volume 1 and 2. ~ Linda Garwol, Director, Buffalo in Bloom; Master Gardener; lead gardener, Niagara Square Gardens, at City Hall Buffalo. 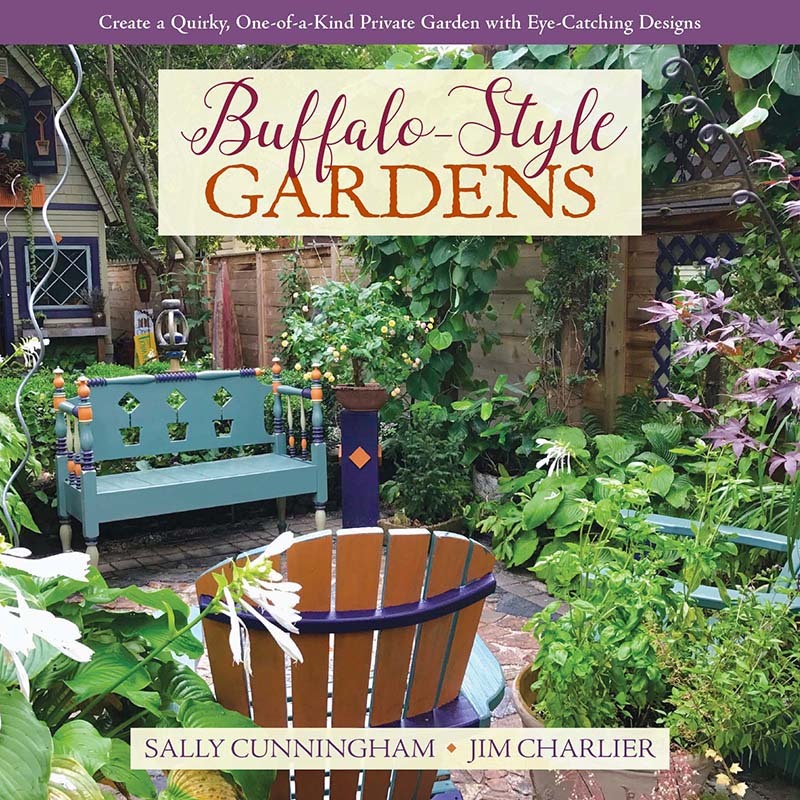 “To date what has been lacking is a book devoted to the quirky and weird gardens Buffalo displays (there are LOTS of beautiful garden coffee table books but few specialize in whimsy!). I teach a course entitled Weird and Wonderful Gardens of the World – I can hardly wait to steal some examples from this book! ~ Edward J. Healy, Vice President, Marketing at Visit Buffalo Niagara. “Garden Walk Buffalo adds value to communities. Not just economic but also social and cultural value. Social value is found in the friendships and associations made between immediate neighbors and neighbors across the region. Cultural value is found in the creative ways gardeners use small plots, weave artwork into the landscape — in short, the “Buffalo Style” of gardening.